Romitaman Original Comic Book Art :: Private Collection :: Daredevil #15 p 12 (LARGE ART) 1965 SOLD SOLD SOLD! 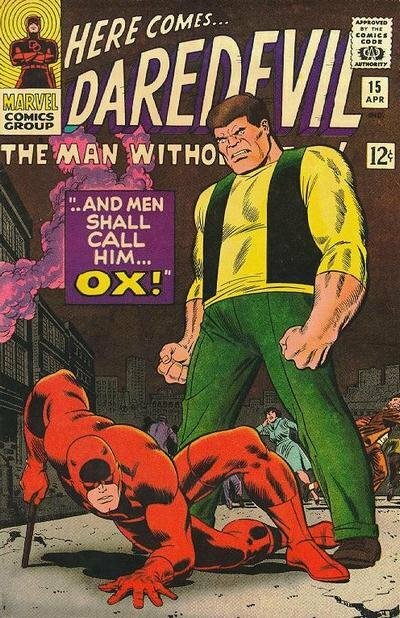 by artist John Romita Sr.
Click Here To See Daredevil #15 Comic Book! 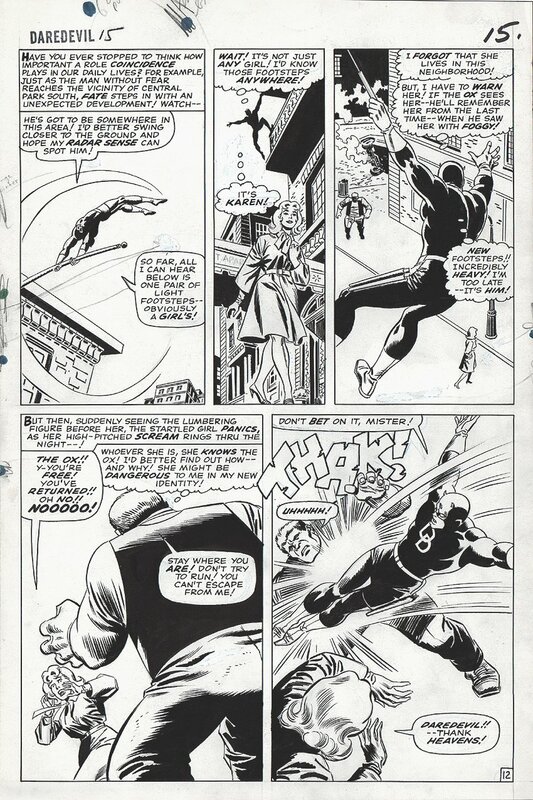 Check out this Historic 1965 Large Art Silver Age Daredevil Battle page, which was penciled by the great John Romita, and inked by the great Frank Giacoia [as Frankie Ray], from the story titled: "--And Men Shall Call Him...Ox!" This AWESOME page features Daredevil in 4 of the 5 panels as he leaps and kicks the huge "OX" who is trying to kidnap the beautiful "older sister" to Gwen Stacy: Karen Page! (LOL) Just A great opportunity here to own a nice LARGE ART DD battle page! Twice up Marvel art is red hot now, and the supply cannot keep up with the demand! ALL art on our website (including this one) are able to be purchased with VERY fair time payments, and trades are always considered towards "ANY" art on our website! Just send us an email to mikeburkey@aol.com and we can try to work something out.